SALISBURY — Whether they’re greeting and checking in students at a Saturday Academy or leading a group of high school scholars in an informational grade advisor session, volunteers are vital to the Crosby Scholars program. At the high school level, the grade advisor program requires volunteer preparation and allows the development of a relationship between the advisor and the students in a particular grade and school. Crosby grade advisors meet three to four times a year with high school scholars, assisting them with becoming competitive college applicants and beginning the process of selecting their best match in terms of post-secondary education. Rowan-Salisbury guidance counselors, as well as staff from the admissions department at Catawba College serve at a variety of schools in this capacity, but more help is needed! With the addition of seniors to our program in 2015-16, Crosby Scholars added a variety of roles to our list of volunteer options. We currently have a dozen essay readers who assist our students by providing anonymous feedback on their application essays. Often, our seniors having multiple essays to write, so this is an area where we would welcome additional help! In addition to essay feedback, the Crosby Scholars program also provides mock interviews for our seniors, and would welcome volunteers who would be interested in conducting these. Perhaps one of the most rewarding volunteer opportunities the Crosby program offers is the role of senior advisor. For the 2016-17 academic year, the Crosby office trained over 44 volunteers to work with 199 seniors. These mentors meet with their assigned students beginning in the summer before the senior year. They continue to meet monthly with their seniors, assisting with the total college application process and plans for after high school. The role of the senior advisor culminates at the Crosby Scholars Senior Gala, an event during which each senior’s college plans are announced and celebrated. All volunteers who work with students undergo Crosby Scholars training and background checks through the Rowan-Salisbury School system. 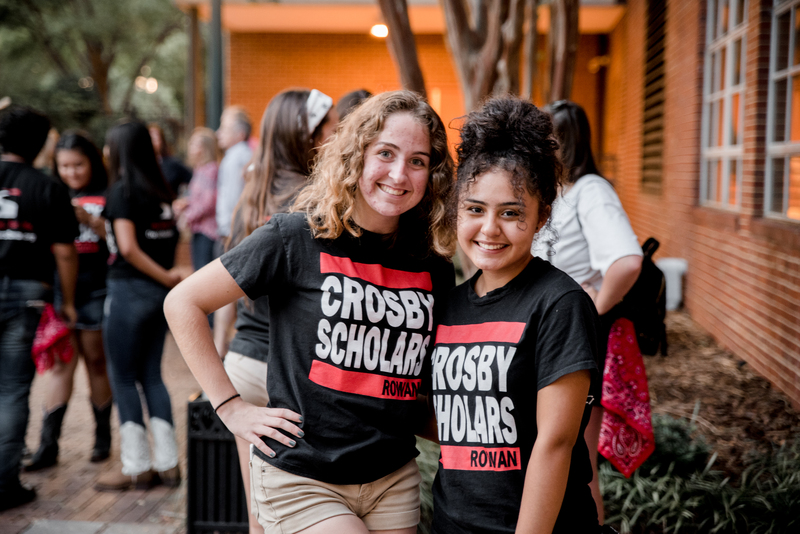 For more information about volunteering with Rowan County Crosby Scholars, please call our office at 704-762-3512, or email info@crosbyscholarsrowan.org.